Our Cheriton pen features metal body with high gloss finish and makes the perfect choice for Business Giveaways with your brand logo. 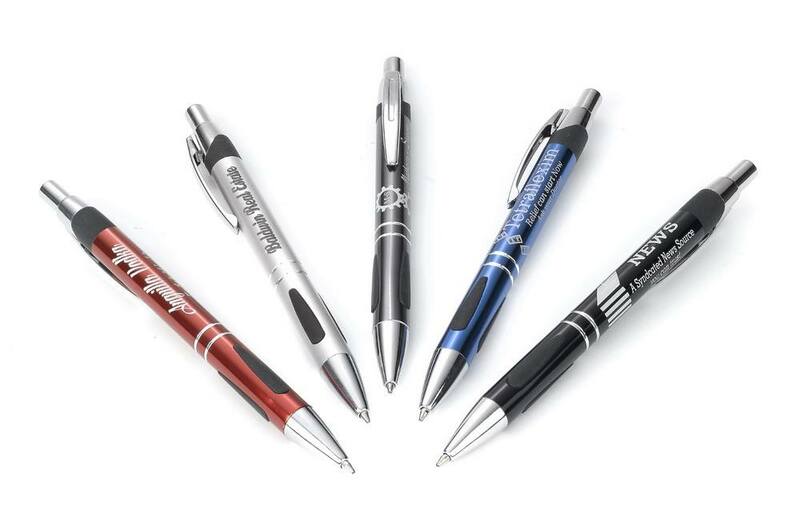 Manage your promotional priorities with the Cheriton promotional pen! This unique, sleek and stylish metal pen features an attractive high gloss finish that catches a lot of attention. It comes in a variety of bright metallic colors to choose from. Black cut-out rubber grips not only add to the look of the pen but also enhance the writing comfort. Retractable mechanism makes the pen perfect for executive use. Choose the color that best suits your brand logo and customize it to your business to create an eye-catching corporate gift for your upcoming company event.